Lassen Peak is a dramatic highlight of the view above Boiling Springs Lake. Last week I was able to get away for a few days and knock out the majority of the trails I have left in the Cascades. I completed four trails in and around Lassen Volcanic National Park. Living at the foot of Mount Shasta like I do, it is often easy to forget that the Cascades are more extensive than my immediate area and that the Lassen region holds its own against other volcanic playgrounds quite ably. It certainly reminds the hiker how fresh and recent the volcanic activity has been and can be. Short of visiting Mount St. Helens, you will be hard pressed to see more recent indications of the forces that continue to shape these mountains. Indeed, the geothermal features around Lassen are very impressive and will feature as a real highlight in the upcoming book. 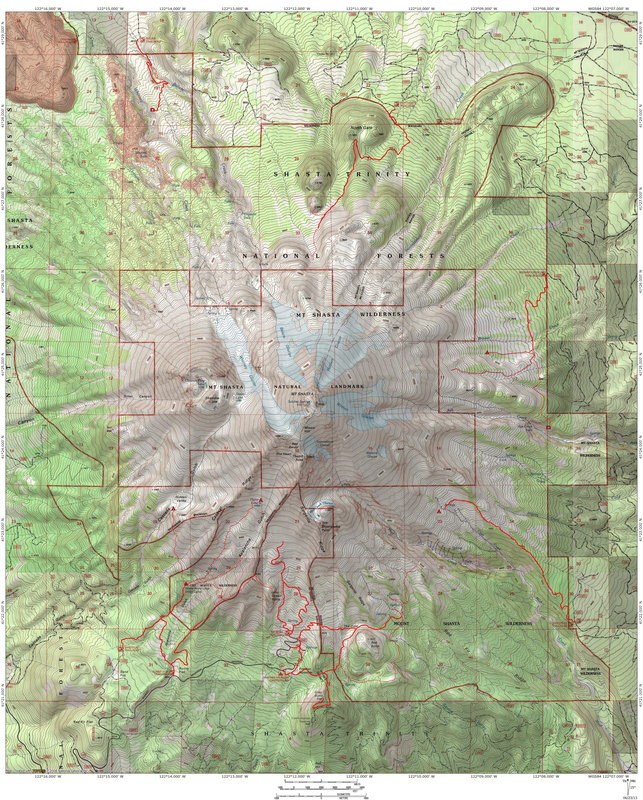 The only Cascade trail that remains to be completed is the climb to the summit of Lassen Peak itself. There is still enough snow on the peak that I decided to attempt it later in the summer so that I could get a better track on the trail. Fortunately, that is close enough to where I live that it is a very easy day trip. I plan to take the family on that one. So, now that these are done, the only none-Sierra Nevada trails I have left are Lassen Peak and three more trails scattered around the Klamath Mountains. Look for more book updates in a week or so! The first trail I completed on this trip was a 13 mile loop in the eastern, less traveled part of Lassen. In truth, this area, especially around the starkly beautiful Cinder Cone, is my favorite part of the park. There are no active geothermal features here but there is no lack of recent volcanism . 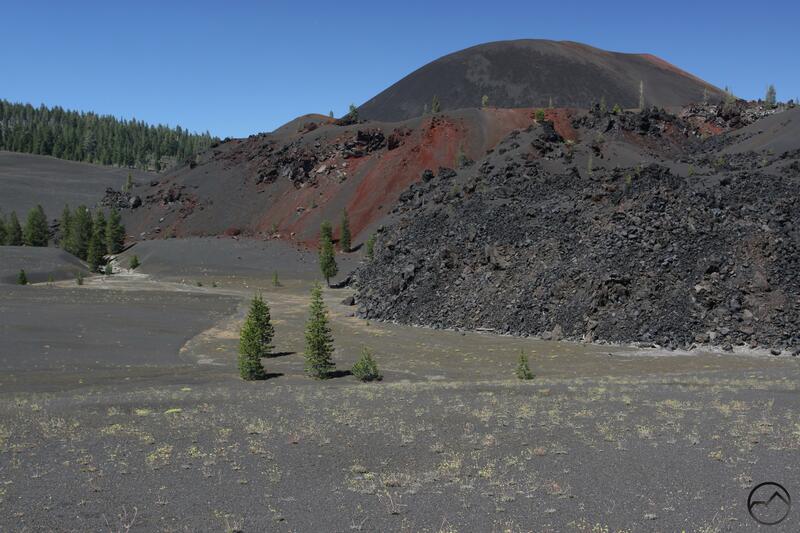 The Fantastic Lava Beds and the Painted Dunes are spectacular and the view of Lassen Peak from the dunes and the summit of the Cinder Cone are probably my favorite. This loop boasts much more though, and includes lengthy passage along both Butte and Snag Lakes. The latter is deep in the backcountry and feels as remote as it is. 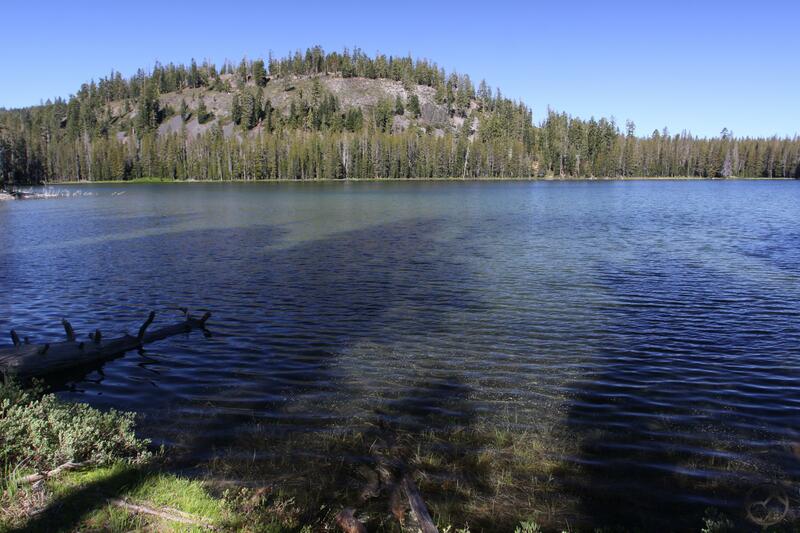 Both lakes are lined by the bleak black rock of the Fantastic Lava Beds, giving them an unusual appearance in places. Meadows, creeks and cinder plains also highlight this great loop. The next hike was through Lassen’s Warner Valley. 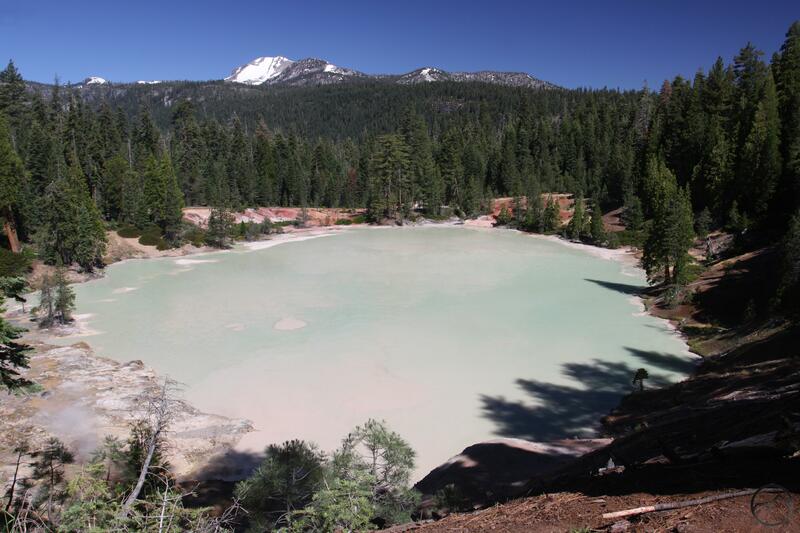 This area boasts a high concentration of geothermal features, including the Devil’s Kitchen, the second largest geothermal area in the park, after the famed Bumpass Hell. A side trail also leads to Boiling Springs Lake, where the putrid water is fed by hissing hot springs. At both sites the smell of Hydrogen Sulfide is quite apparent. In addition to these volcanic features, the trail at times follows beautiful Warner Creek and passes through vast, lush meadows lined with rugged cliffs. There are also numerous springs bursting out of the ground along the trail. I next hiked the Bizz Johnson Trail near Susanville. This is the only hike in my book that is a rails-to-trails conversion and it certainly must be one of the best such trails in the country. 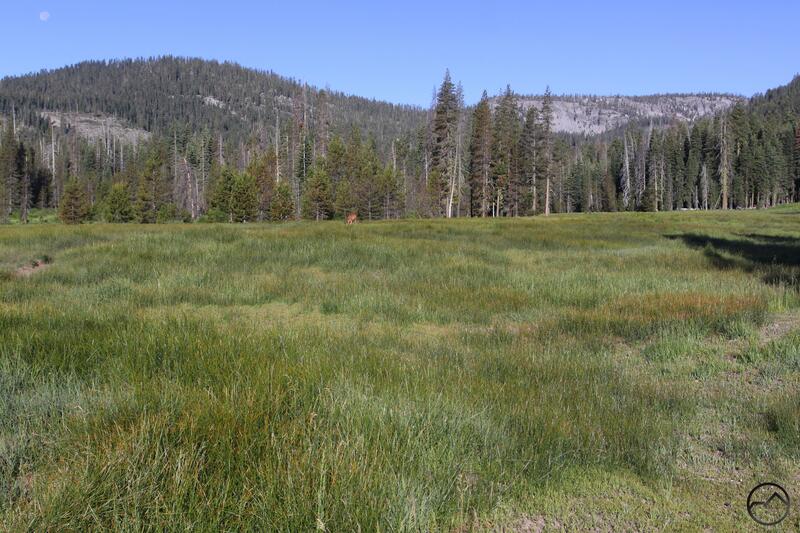 In total, the trail travels 26 miles from Susanville to Westwood, near Lake Almanor. For the book I am only including about 4.5 miles. This segment travels through the beautiful Susan River Canyon. The rock around the canyon is volcanic in origin and basalt and tuff are both abundant alongside the trail. 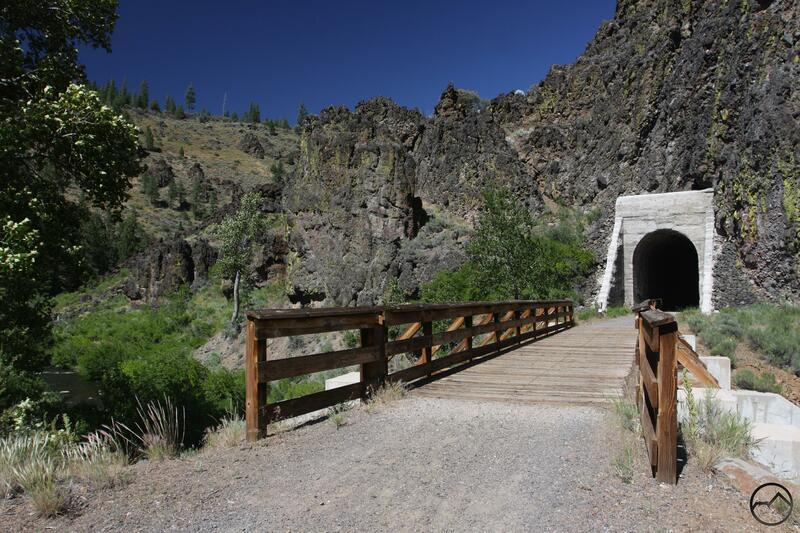 The entire hike runs parallel to the Susan River and passes over several converted railroad bridges as well as two awesome tunnels hewn into the volcanic rock. Rather than simply following the trail back after turning around, I hiked the new South Side Trail, which crosses the river and follows it on the side opposite the Bizz Johnson Trail. This path is great single track and has many sections that have climbed high in the canyon, offering great views. The last hike I was able to do on this trip was a scenic loop through the little-used Caribou Wilderness. This area borders the eastern end of Lassen Volcanic National Park. It is mostly composed of a high volcanic bench and dotted with dozens of beautiful lakes. While this area is not known for its scenic vistas, it has lovely forests, lots of volcanic rock features and more lakes and ponds than you can count. It also has deep solitude. I did not see a soul the entire time I was there.